Joe found a beetle today while we were woodchipping the garden. It was making a weird noise…a cross between a hiss and a squeak. Joe and Jake both thought it was cool. 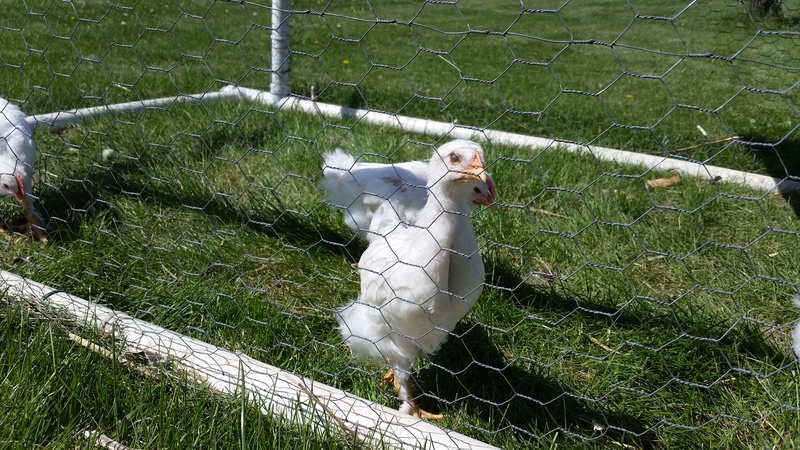 I thought it was creepy and wanted to feed it to the chicks. “I wonder what it eats,” said Joe as he put it in his bug house. “We found it in the wood pile so let’s put some wood in,” said Jake. I watched them work together, putting wood chips, grass and dirt in. 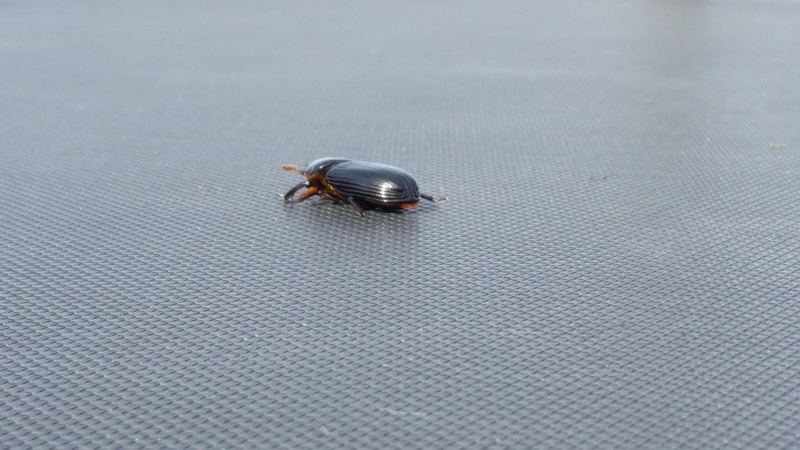 “What kind of beetle do you think it is?” I asked them. They didn’t have any guesses, so Joe and I went inside to get a few bug books. 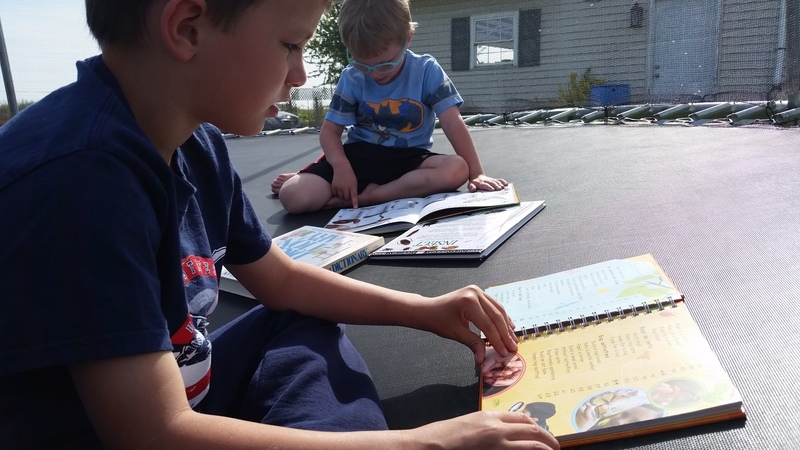 The boys both wanted to “do research” on the trampoline so we climbed on with the books and the bug house and started looking for a match. The beetle was hard to see, so of course Joe needed to take it out. I tried nonchalantly scoot away when it crawled its way toward me making its weird hiss/squeak. 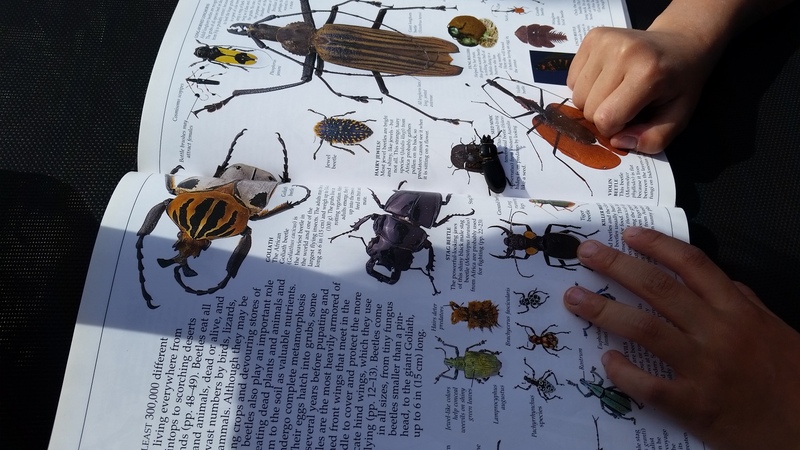 We looked through all of the insect books and came to the conclusion that Joe had found a female stag beetle. “Are you sure it’s a stag beetle?” I asked Joe. He turned it upside down and touched its back leg causing another hiss/squeak fit. I tried to get the crazy sound on video, but it would not cooperate so I found a YouTube video of a stag beetle making the same sound. The boys played with it for a little while longer while I watched on. When they got bored with it, they put it back in the bug house and put the bug house on the picnic table. I gathered up the books and told them I was going to go inside and fix dinner. This entry was posted in A to Z Blog Challenge, Education, For the Kids, Jake the Bug Hunter, Joe the Bug Hunter. Bookmark the permalink.